Whether you are moving or just need some extra storage for all your things, using a self-storage facility is a great solution for many people. We all love to collect various things and sometimes we just run out of room. In many cases consumers need extra storage while they are making renovations to their homes. Sometimes they have a few weeks between moves from one home to another and need storage on a temporary basis. Regardless of your reason for needing a storage facility, always properly pack all of your items. Use moving boxes with lots of packing material around your stuff, especially those that are easily broken. Whenever you move your items into the storage facility and eventually out again, you want to avoid damage from the move itself. 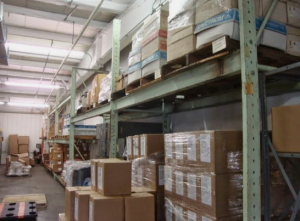 Properly packaged items in boxes can also be stacked and will withstand the weight of boxes placed on top of them. Consumers can maximize the space they have rented and perhaps even rent a smaller storage locker than they originally planned. Whether it is a move from one home to another or renovations at your home, a storage facility locker may be a solution for many. Protected from the environment, environmentally managed and secure, your belongings will be much safer in a storage facility. Can’t decide what you want to do with some items. Perhaps you are saving them for the family when they are ready to receive some of your belongings. Maybe you are moving to another city and need to store some of your items while you are gone. These are all reasons why many people consider long term storage. Whatever your reason for using a storage facility, plan your packing, pack well to avoid unnecessary damage and consider how large a storage locker you really need.